The world’s biggest freight carriers all got a little bigger this year as demand for transportation surged across the globe. 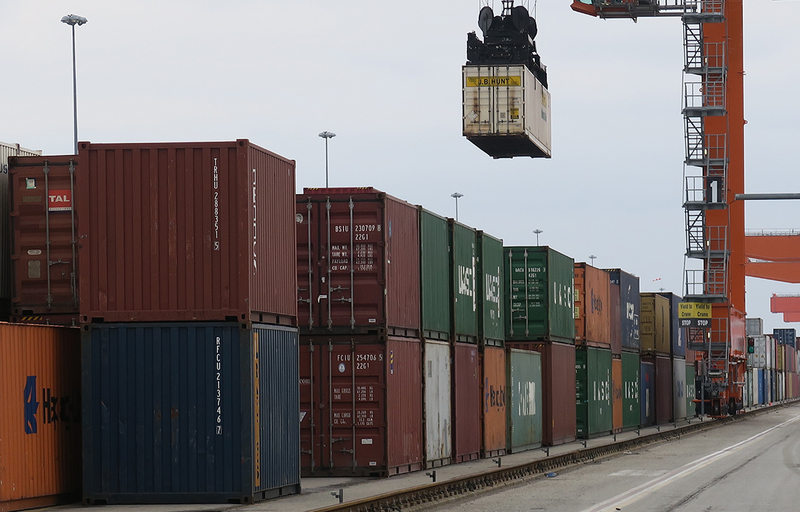 Truck and rail carriers seemed to benefit the most from growth in both domestic and international shipping, but they also faced difficulties in keeping up with demand. Ocean freight carriers, on the other hand, continue to struggle with overcapacity as bigger ships are brought into service on high-volume trade lanes and older ships are funneled into crowded secondary lanes. To cope with the problem, some companies have merged and others have opted to work together to jointly market their services in an effort to keep containerships more fully loaded. Recent mergers have included CMA CGM Group’s takeover of American President Lines, Maersk Group’s purchase of Hamburg Süd and subsequent divestiture of South American-based shipping line Mercosul to Mediterranean Shipping Co., and Hapag-Lloyd AG’s merger with United Arab Shipping Co. Korea’s Hyundai Merchant Marine Co. took over some business from Hanjin Shipping following the latter company’s bankruptcy in 2016. A combination of two of China’s largest ocean carriers, COSCO Shipping Corp. and Orient Overseas (International) Ltd., is pending. COSCO ranks No. 14 on the Top 50 list this year while OOIL ranks No. 27. Three of Japan’s shipping lines have formed Ocean Network Express to share capacity. They are: Mitsui O.S.K. Lines (No. 12), NYK Group (No. 13) and Kawasaki Kisen Kaisha Ltd. (No. 21). Another strategic cooperation agreement was recently struck between Mediterranean Shipping Co. (No. 7), Maersk Line and Israel-based ZIM Integrated Shipping Services (No. 42). Two companies joined the Top 50 list this year. Coming in at No. 49 is Wallenius Wilhelmsen Group, a company based in Oslo, Norway, that specializes in transporting cars, trucks, rolling equipment and breakbulk products around the world with 130 vessels serving 32 trade routes to six continents, plus an inland distribution network of 77 processing centers and 13 marine terminals. Making a return appearance on the Top 50 list is Kazakhstan Temir Zholy, an organization owned by the government that operates the national railway network in the Republic of Kazakhstan. The company hauls cargo and passengers and also provides communications, utilities and loading and unloading services, cargo and vessels transfer service, security and port services. Shares in Kazakhstan Temir Zholy are expected to be offered for sale by the end of 2020, according to a statement released by Kazakh Prime Minister Bakytzhan Sagintayev in July. The Top 50 Global Freight Carriers list is the only industry ranking that combines air, ocean, rail and truck freight carriers in a single list. It is an exclusive presentation by Transport Topics and S.J. Consulting Group. Companies are ranked based on annual revenue generated by freight assets for the most recent 12-month period. Local currencies are converted into U.S. dollars based on the average exchange rate for the time period covered. Combined freight revenue for all of the Top 50 carriers was $573.8 billion. That’s up from $520.4 billion for the Top 50 carriers listed last year. The United States was home base for the most companies on the list, a total of 14, followed by Japan with six, China and Hong Kong with five and Germany with four.